Part autobiography, part self-help, and part laugh-out-loud hoot, this is no ordinary relationship book. No matter whether you want to change, end, or start a creative, intimate relationship, this book gives tons of true-life tips for putting your partnership first and making it work. It's no secret that sharing stories is a way to teach others what you know. In Love, Light, and Laughter, Monte Farber and Amy Zerner share the story of their remarkable union, along with more than 26 secrets for an enchanted relationship. 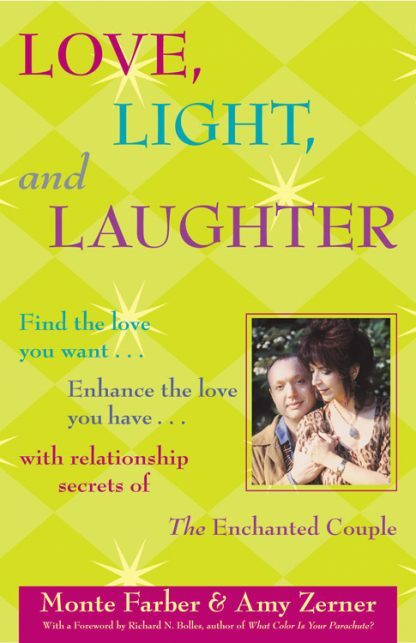 The title Love, Light, and Laughter describes the course of any enchanted relationship. First comes love. Then you need to work -- always -- to shed light on yourselves and your relationship. But no relationship endures without laughter.